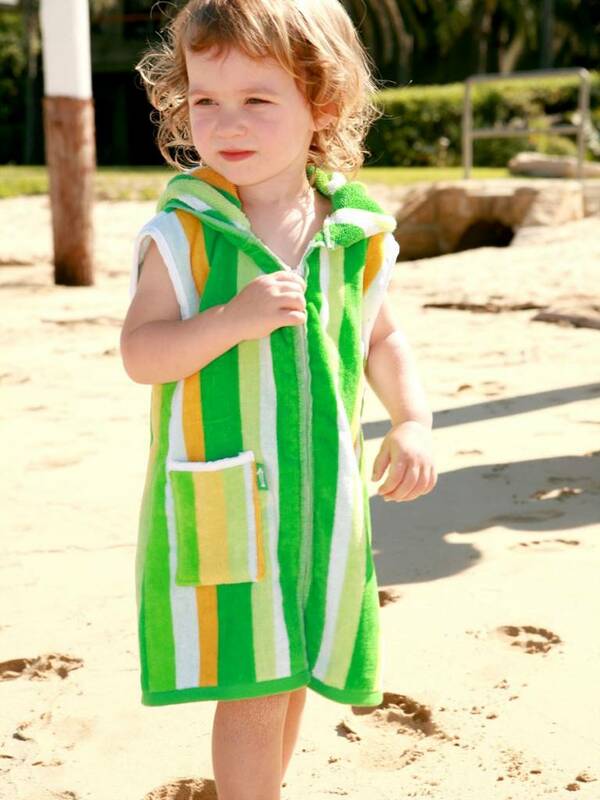 Cute sleeveless Beach Robe for children in Seagrass colours. With hoodie and zipper. We produced this sleeveless style as there was a proportion of our customers looking for a simpler and more cost effective garment for their toddler, but that still delivered on functionality. There are those who also prefer the extra freedom the sleeveless style offers, especially for the very little ones. 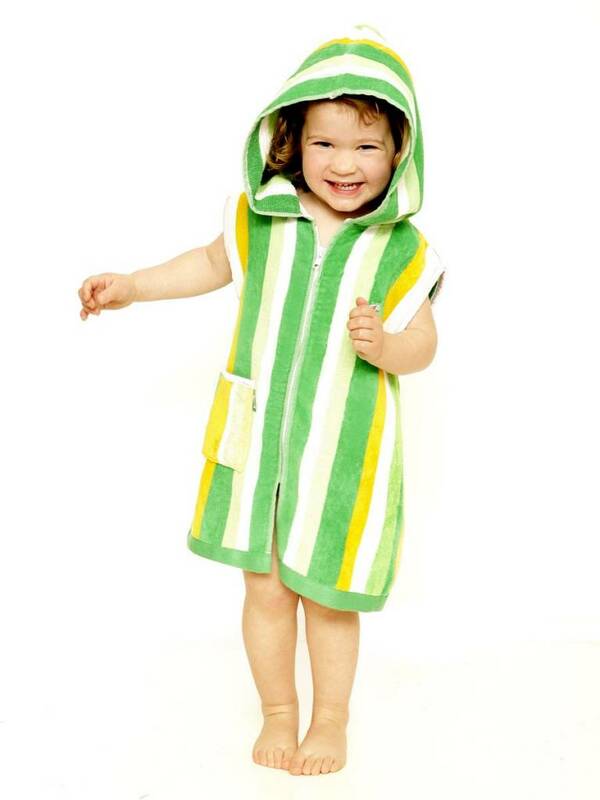 Sleeveless Terry Rich Swimming Robes are made from mid-weight 100% cotton toweling. They are a little lighter than our Original Swim & Beach Robes but be no means thin. In order to keep the costs lower there are a number of features found on the Original Swim Robes that are not included in the Toddler Sleeveless Style. These are: No covered seams, no lined pocket, no name badge and zinc plated zipper. 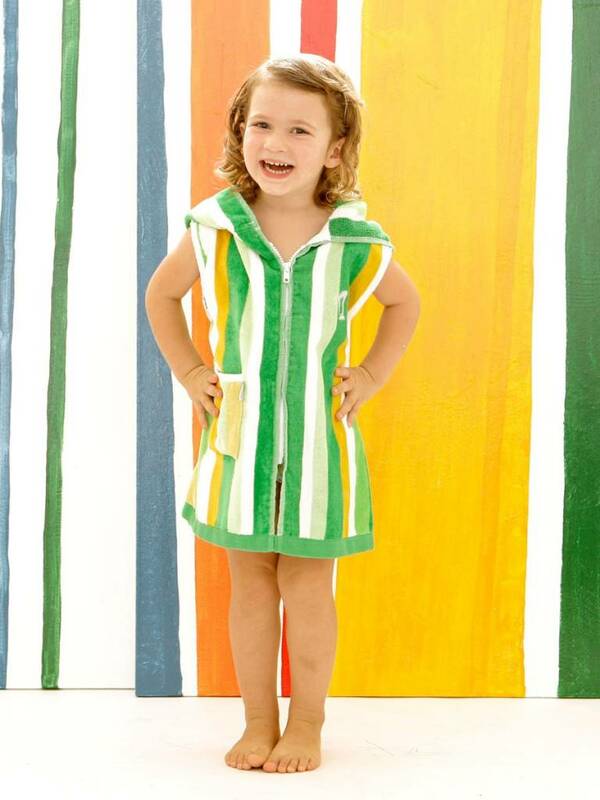 Given the popularity of the sleeveless style with smaller children, Sleeveless Beach Robes for Toddlers are offered in sizes 2 and 4 only and in three bright and fun striped designs.